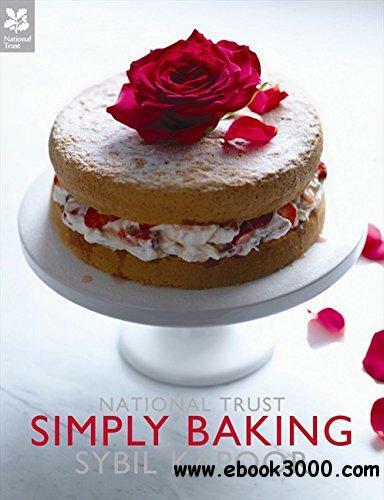 Baking is one of life's great pleasures and in this beautiful new National Trust cookery book Sybil Kapoor brings together an inspiring collection of baking recipes, both sweet and savoury. She delves into our kitchen gardens, larders, hedgerows and orchards to illustrate different aspects of modern British baking. She shows how key ingredients such as produce from the orchard, grain from the mill or butter from the dairy have shaped British baking and led to a delicious and deservedly famous repertoire of cakes, pastries, savoury bakes and bread. Seville Orange Crunch Cake and Blackcurrant Meringue Pie are just a few of the simple cakes and tarts that can be prepared with fresh dairy ingredients, while pastry and breads from the mill provide a wholesome basis for Nectarine Slice and Olive and Onion scones. Harvest sumptuous apricots, cherries, pears and plums from the orchard for Apricot Creams and Chocolate pear cake, or use the natural abundance of wild herbs, mushrooms and nuts of the hedgerow to produce delicious almond blackberry cake or soft hazelnut macaroons. Sybil's interests in nature and the use of seasonal and local produce reflect the National Trust's current food policy and combine to make this a unique and exciting baking book for our times.